“Lady of the Lake” No.1434 “Eunomia” on shed. But which shed and when. 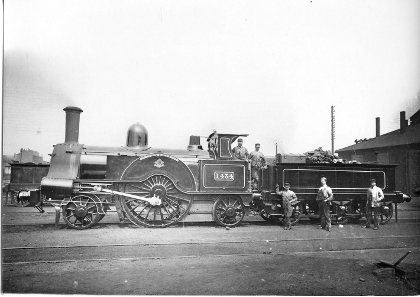 This photo of ‘Eunomia’ No 1434 is one of many similar shots of other engines taken outside Ordsall Lane shed, Salford, around 1890.